Through our relationship with Invensys Rail North America, we connected with Siemens when they purchased Invensys Rail NA. 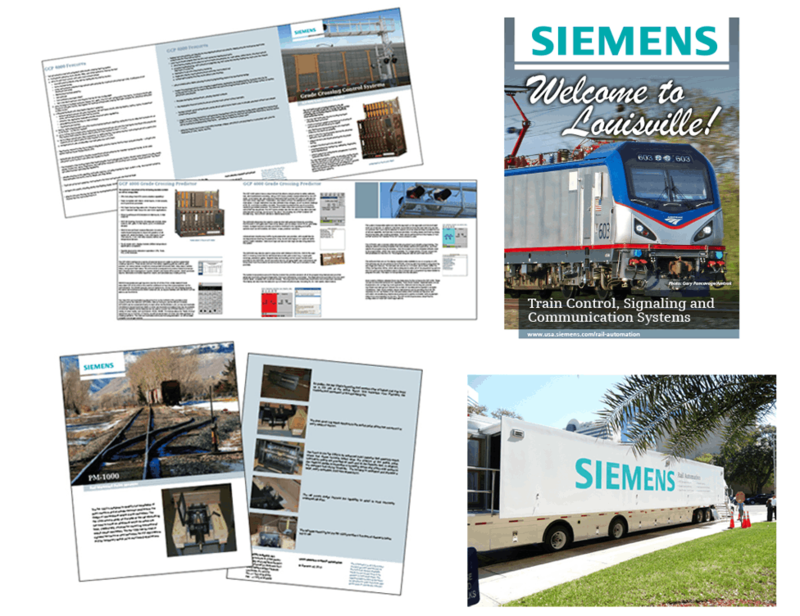 We were tasked with converting all of the Invensys Rail materials (brochures, catalogs, video, etc...) over to the Siemens brand. 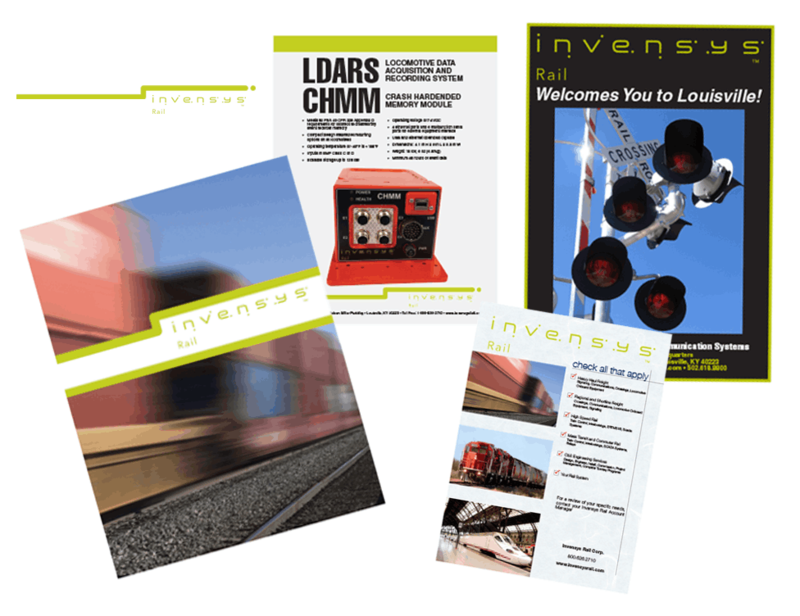 When Siemens Global purchased Invensys Rail North America (a relationship of ours), we were tasked with transfterring all of Invensys' marketing material over to the Siemens brand. 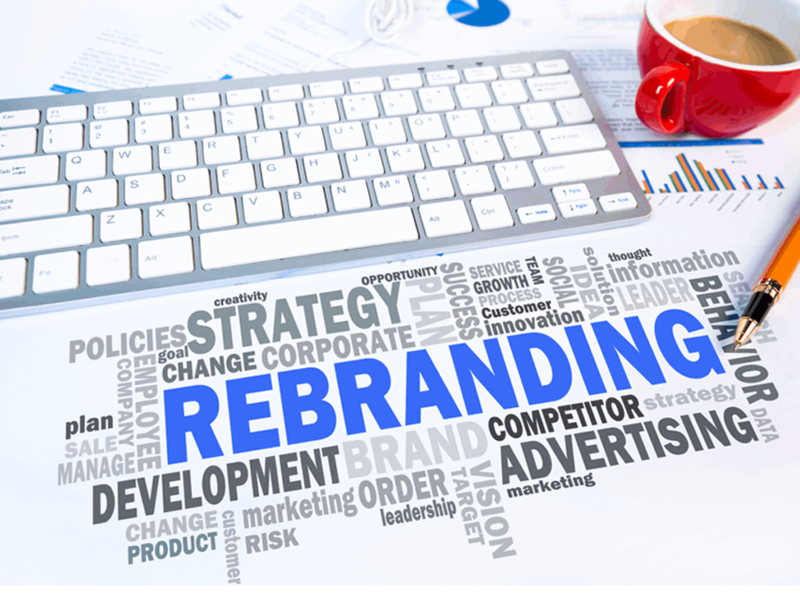 Siemens Global Marketing wanted us to use the Siemens style guide to re-brand over 250 brochures, flyers, ads, signs, event/exhibition materials, vehicle graphics, displays, websites and internal communications. Due to the expansive nature of the project, The Execution took many forms. One part involved print & layout design, while another consisted video production & editing. 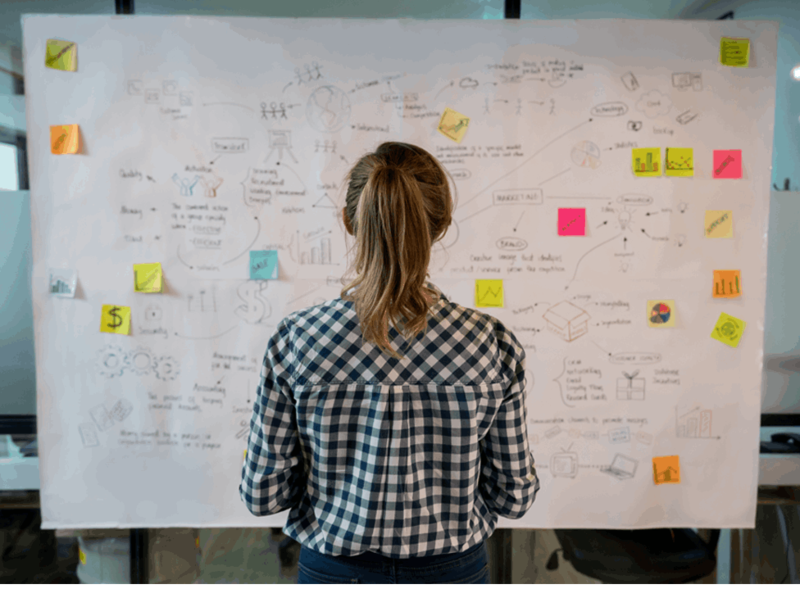 From large vehicle displays to redesigning all the materials used in their traveling exhibition booth, we had to have our hands on everything. We definitely used all the tools at our disposal to make this project happen. This project was definitely a learning experience. We had to follow the style guides to a "T" and not a detail was missed. All-in-all, Siemens was very impressed with our work and they have continued to call on us from time to time for their local needs.